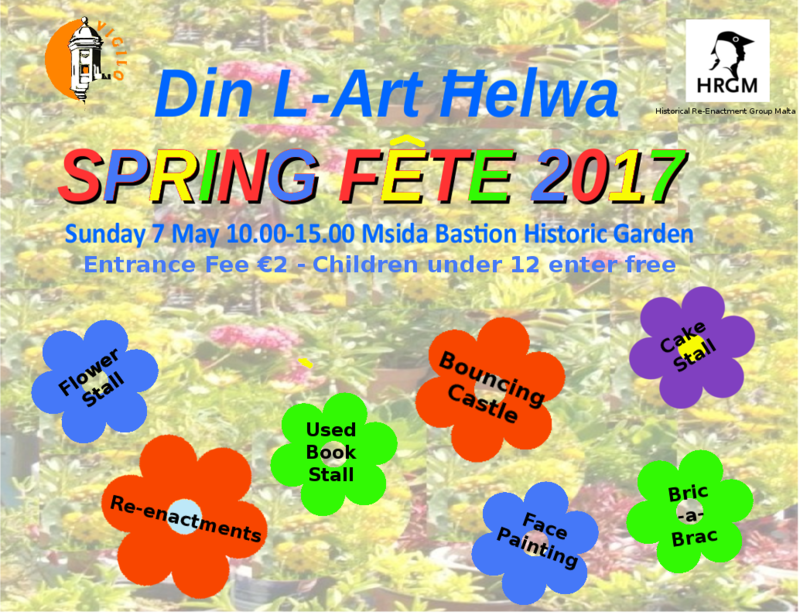 Spring is in the air and the hard-working team at the Msida Bastion Historic Garden is preparing for the Spring fete which will take place on Sunday 7th May. Please take your unwanted books, bric-a-brac, costume jewellery to the volunteers who will prepare the stalls for the fair. While there, purchase the beautiful pansies and petunias, ready for planting NOW at 50 cents each. Also available are many other plants. The garden is open Tuesday, Thursday and Saturday and 1st Sunday of the month from 9.30 am – 12,00 noon.